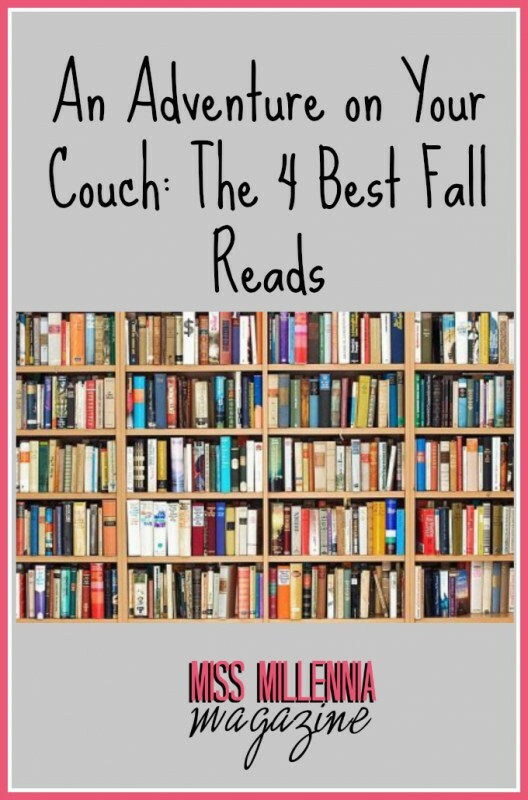 Although I am a self-professed book lover all year round, there is something special about the fall that makes me want to read even more than I normally do. There’s nothing like arriving home after a long day at work, uncorking that bottle of wine, and curling up on the couch with your pants unbuttoned to read the book you’ve been thinking about all day. There is something magical about the fall season as well; the fresh, crisp air makes me feel as if magic and monsters and all the promises of the Halloween season are real and crawling out of hibernation, scuttling through the leaves unseen by human eyes. Of course, this is all in my imagination but is there any place more exciting and inviting than our imaginations? So bust out those wine glasses and Doritos, put on your slipper socks, and enjoy the most affordable vacation you’ve ever been! A groundbreaking YA novel by feminist writer Michelle Tea that features mermaids, talking pigeons, and androgynous love interests. It all begins when 13-year-old Sophie meets a mermaid in the polluted creek by her home, who tells her of a prophecy about her and the dirty Massachusetts town in which she lives. Sophie soon realizes that she is no ordinary girl, and her life is completely turned upside down by the fantastic events that follow. Michelle Tea is an excellent writer who can capture the uncertainty of adolescence and comment on the trials of growing up in poverty. Sophie is an exquisite heroine. She is frightened and unsure of herself, but in the end chooses to control her destiny! This is a YA fantasy that breaks the mold: no love triangles or predictable plotlines here! Tea uses the setting of a dismal polluted town to force you to mesh the fantastic with the squalid and will have you praying that magic can return to our modern world. The book is the first of eight novels in Diana Gabaldon’s Outlander series. The stories follow Claire Randall, a WWII army nurse who is reunited with her husband after the war. As they enjoy their second honeymoon in Scotland, Claire finds herself lost after a visit to the standing stones on the outskirts of Inverness. She awakens to discover, against all rational thought, that she has been transported in time. She finds herself embroiled in yet another war. It is here that she meets two men who will have a great influence on her life, Captain Jack Randall, and clansmen James Fraser. Despite wanting desperately to return to her own time and husband, Claire finds herself pursued by the English army, captured by the Scottish, and falling in love with a man whom she should never have met. Despite the lengthy 850 pages, you will not want to put this read down. Gabaldon’s descriptions of Scotland and its turbulent history alone are worth the read. Shortly after writing the iconic comic, Watchmen, writer Alan Moore moved in a new direction by exploring the origins of Batman’s favorite villain, The Joker. Moore’s depiction of the Joker as a man motivated by his love for his family, maimed by a tragic accident that left him disfigured and mentally unstable, brings a new kind of depth to the Batman universe previously unseen in earlier comic and film adaptations. The comic also illustrates how one event can transform an ordinary man’s life. Moore juxtaposes Batman with the Joker, two men driven mad by the events of one day. While Joker becomes unstable as a result, Batman chooses to be a vigilante hero in the wake of his parent’s murder that fateful day. Also, the art is beautiful. Apparently, talent runs in Joe Hill’s family (his dad is renowned horror author, Stephen King). Hill chose to publish his novels under his pen name to keep his familial connection a secret until his first novel was published. In Nos4a2, some characters identify as “creatives,” who can manipulate their reality through the use of a particular tool they have in connection. For the protagonist, Vic, it’s her Tuffburner bicycle. When she rides her bike, she can conjure a bridge from her imagination and memory that allows her to travel to wherever she wishes to go. While Vic only uses it to retrieve lost items in an attempt to ease her parent’s rocky marriage, others use their tools to gain knowledge or to commit atrocious crimes. I won’t say anything more but the villain of this story is horrifying, and Christmas has never seemed more sinister than through Joe Hill’s descriptions. Previous Post: « The Selfie Generation: Self-Confident or Self-Obsessed?